Although this activity has been marginal at the beginning, nowadays, taking also in consideration the shape and the governing principles of the European Framework Programs Horizon 2020, the collaboration with Industries has become of paramount importance. 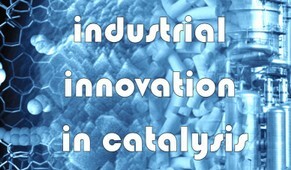 Whilst, in the past, academic research was a sort of “stand alone”, today, its connection with industry and the production, needs to be enhanced both under the industrial point of view and to be prepared for the forthcoming Horizon Europe Programme (Horizon Europe) starting in the 2021 which will carry the same focus on industrial innovation. ERIC offers unique opportunities for companies and Institutions to perform the research and the development in the area of catalysis, since this organization allows to address complex problems which require multidisciplinary competences, from theory and modelling to surface science, synthesis and mastering of advanced nanomaterials, multi-tool characterization, catalysts testing and kinetics, catalyst and reactor engineering, and scale-up. ERIC, as a one-stop-shop, can offer a flexible and tailored involvement of different scientific and engineering competences, through a single entry point. For companies, and particularly for SMEs, ERIC can also give additional services, including assistance in process developments and Intellectual Property Rights protection, personal training, as well as in the preparation of R&D projects at national, European and International level. With an outstanding success rate in the European Projects, ERIC can help a company in writing a project proposal, suitable for any H2020 pillar, included the SME Instrument. Especially for the IPR, ERIC can be a reliable partner for scouting, evaluating and implement a possible patent application. In 2017, ERIC has been listed in the European Parliament as registered Organization for lobbying activities thus, another service has been added to the possibilities for its Members and companies, to implement the outcome of the European Legislative procedures preparing the supporting scientific documentation to orient the EU legislation and thus influencing the decisional trend on certain areas.